Here are a few ways to pay off your student loans! the income-contingent repayment plan, which permits you to make payments as low as $5 a month and which lasts for 25 years. Tip: Don’t make the mistake of just picking the option that lets you pay the smallest monthly payment. That may help your cash flow in the short term, but in the long run you’ll pay thousands more in finance charges. The best strategy: pay as much as you can possibly afford on your student loans. If you can’t swing the standard repayment plan (with a 10-year payoff), and you have to choose a longer repayment plan, then at least make extra payments on top of your normal monthly payment. Next Step: Even if you can only afford to throw an additional $25 or $50 a month on top of your regular payment, every little bit will help. Sending in “extra” payments is a short-term financial challenge, but if you go ahead and bite the bullet now, making sacrifices in the near-run, you’ll be much better off in the long haul. A little-known way to get rid of college debts – including both private and federal loans – is to have your employer pay off the debt. Many organizations will do so if you sign an employment incentive contract. This means that as a “bonus” or “perk” to you, your job pays your student loans. In turn, you agree to be a loyal employee and remain with the company for a given time period, say at least two to three years. Think about it this way: getting an employer to pay off your student loans is just another form of a benefit. Companies offer workers extra cash all the time – like hiring/signing bonuses, performance bonuses, year-end bonuses or holiday gift money, etc. Therefore, money provided to knock out student loans is simply another form of cash compensation. Why are companies willing to consider offering student loan assistance? It’s simple: They want to hire and retain top talent. Tip: The next time you’re up for a raise or performance appraisal, raise this subject with your boss. You can also bring up the matter to a prospective employer when you’re job-hunting; just wait until after you receive a firm job offer, and have started the salary-negotiation phase. Follow this advice, and you may not have to pay your student loans at all – your employer will! The government’s Federal Student Loan Repayment Program can be a huge windfall to anyone with federal student loans (not private loans). Administered by the Office of Personnel Management, this program allows any federal agency that you work for to pay off up to $10,000 annually of your federal student loans, up to a maximum of $60,000. For more info, call the OPM at 202-606-1800 or visit http://www.opm.gov. http://www.opm.gov/oca/pay/StudentLoan/. Be sure to check out the Fact Sheet and the Questions and Answers section on the left side of the website page. Most people think only students who are enrolled in school can get deferments. Nothing could be further than the truth. Practically anyone with an economic hardship can qualify for a loan deferment or forbearance – and some people with severe, chronic financial problems may be eligible to get their loans canceled altogether. Sallie Mae, the nation’s biggest student lender, offers deferments for nearly 20 different scenarios. You can have your loans payment postponements for the unemployed, for new mothers re-entering the workforce, for volunteers at non-profit agencies, for military enlistees, etc. Even having excessive credit card debt or unusually high personal expenses can get your monthly student loan payment drastically lowered. If you’ve had a string of bad luck, say you went through a divorce, got laid off, then had a car accident — all of which impacted your finances, you can qualify. Also, having a protracted hardship, such as a lengthy medical illness, the department of education may say it’s not worth it to make you pay off your loans – and they can cancel out your loan indebtedness. Tip: To claim an economic hardship and ask for greatly reduced student loan repayments, fill out a simple 2-page form called a Statement of Financial Status. Find it online at the Department of Education by clicking here. If you have private loans, you can also ask your lender or loan service company about deferment and forbearance options. 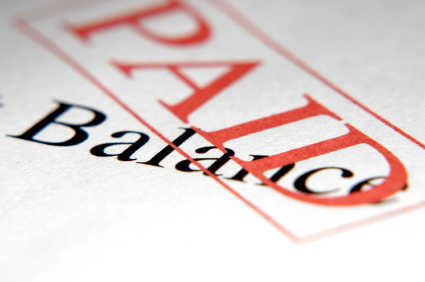 A host of working professionals can have their loans forgiven or outright cancelled. These include police officers, lawyers, teachers, nurses, doctors and many in the healthcare field. People who volunteer at AmeriCorps (http://www.americorps.gov), VISTA or the Peace Corps, or who help impoverished people and those in under-served communities can also have their student loans written off. These loan cancellation programs are available for the asking. 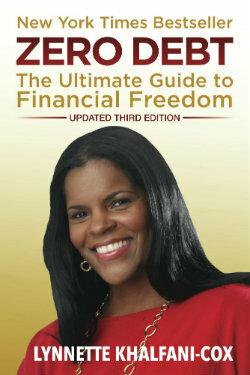 Tip: More than two dozen loan cancellation and loan forgiveness programs are detailed in my book, Zero Debt for College Grads. Anyone with student loans receives lots of offers in the mail from lenders seeking to consolidate your student loans. If you do consolidate you loans, do so wisely. You’ll have to keep your private loans and federal loans separate; you can’t consolidate those two groups of loans. But be careful which loans you roll into one bigger loan. For instance, let’s say you took out federal Perkins loans while you were in school. In most cases, you wouldn’t want to combine a Perkins loans with other types of loans. The reason: Perkins loans have better “loan forgiveness” benefits for people who go into teaching, and you can lose those benefits if you consolidate them. Tip: For more info on loan consolidation, visit: http://www.loanconsolidation.ed.gov. The major advantage of consolidating student loans is that your monthly payment will be reduced, freeing up some of your cash flow each month. The biggest drawback is that, because consolidated loans are stretched out over a longer repayment period – up to 30 years – you’ll wind up paying two to three times as much as you would’ve paid had you not consolidated your loans.